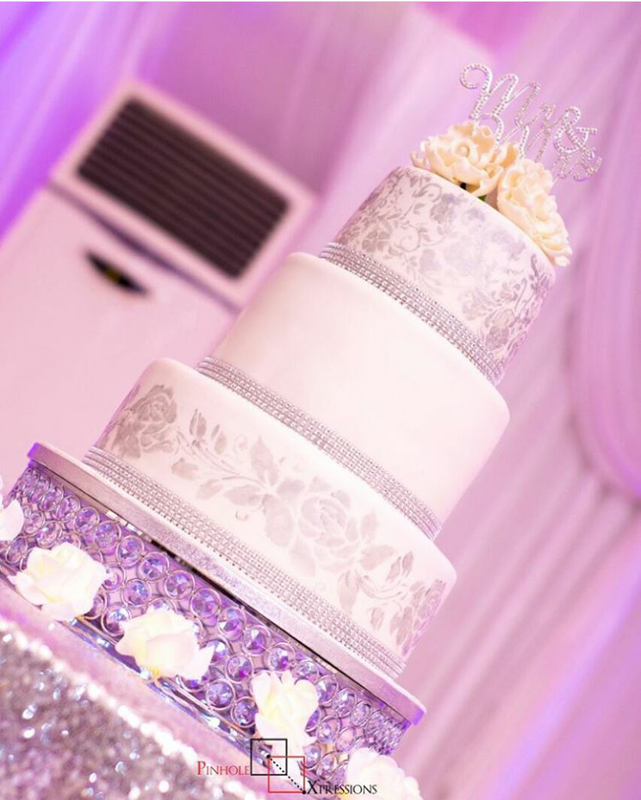 At wedding receptions, guests are always excited to see that delectable tiered wedding cake being cut and tasted as well as the popping and toasting of the sparkling fizzy champagne or wine. They are wedding rituals greatly anticipated by guests, but do we know what they symbolize? It is mostly believed that a wedding is not a wedding without the wedding cake. 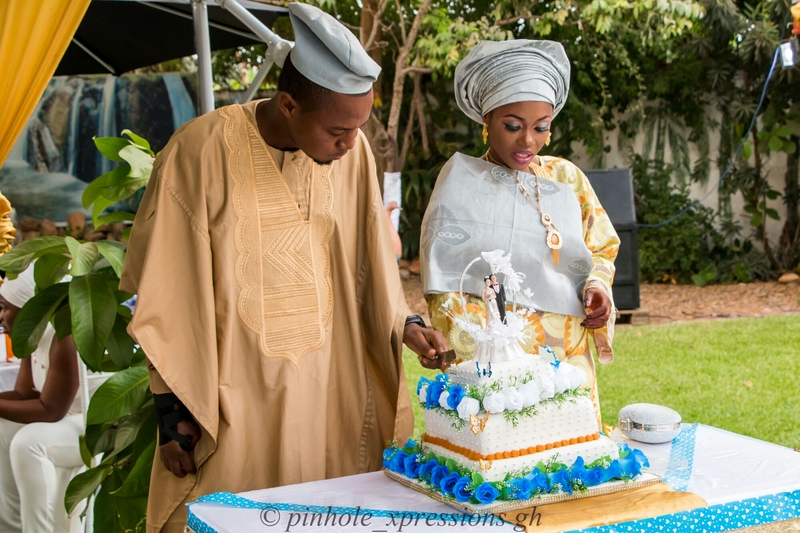 The cake cutting is symbolically, the first task that the bride and groom perform jointly as husband and wife and it reflects the life they will share as a couple. 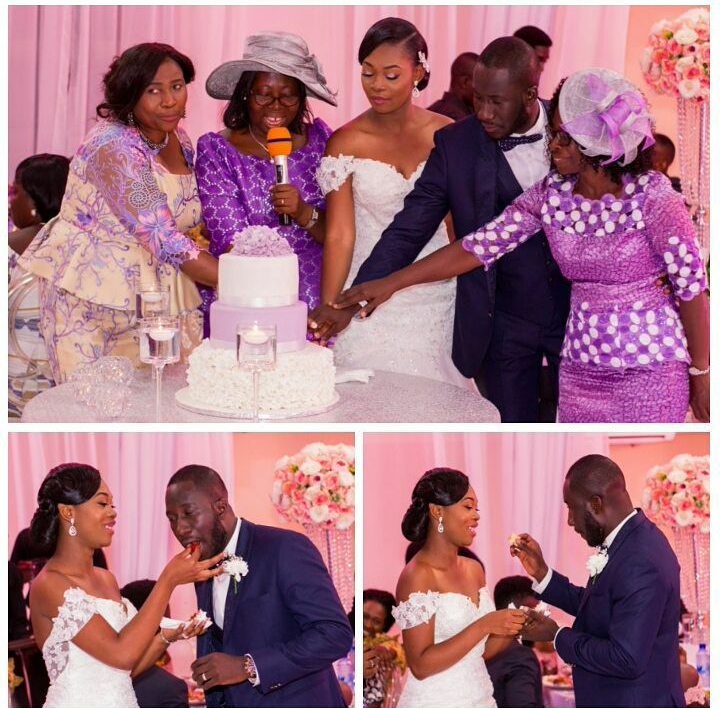 Together, the couple cut through the cake after which the groom will feed his bride with a piece of the cake and the bride does same before distributing it to the guests. For weddings I have emceed and possibly, almost all wedding receptions held in Ghana and some other parts of the continent, the couple is assisted by their mothers or some other women who are of high repute and have been married for so many years, so they can serve as example to them. The cake cutting by the couple symbolizes their union, their care for each other and their commitment to provide for each other. It also signifies good luck and fortune for the guests. The Champagne Toast The toasting and drinking of champagne to mark celebrations is said to be a long held tradition and was viewed as a status symbol. At wedding receptions, the champagne toast is done to wish the newlywed the best of health and good luck. It is usually done before or after the cutting of the cake. After the bottles are popped, the glasses of the couple are filled, followed by the wedding party, the couple’s parents and all guests present. 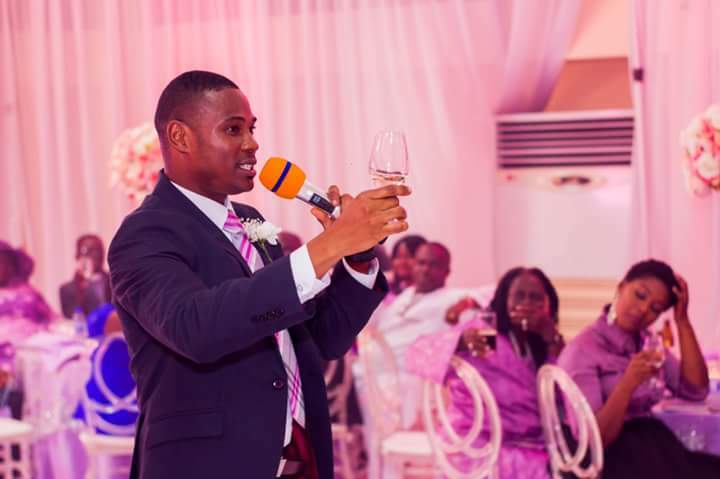 Then the Bestman, standing before the audience, holds up his wine glass in his right hand to signify friendship and peace. He gives a short speech of hopeful wishes, inspiration or advise to the couple. The Groom responds to the toast with a few words to his Bride and a word of appreciation to their parents, the wedding party and all present, following which the first sip of the wine is taken by All to express a collective feeling of joy. Sometimes, the parents of the couple and other guests take turns to express their felicitations after the Bestman. So, next time you attend a wedding or if you are planning your own wedding, you won’t just participate in these two popular wedding traditions but you would do so with meaning. What are your thoughts on the wedding cake and the toast? Comment below and don’t forget to share. 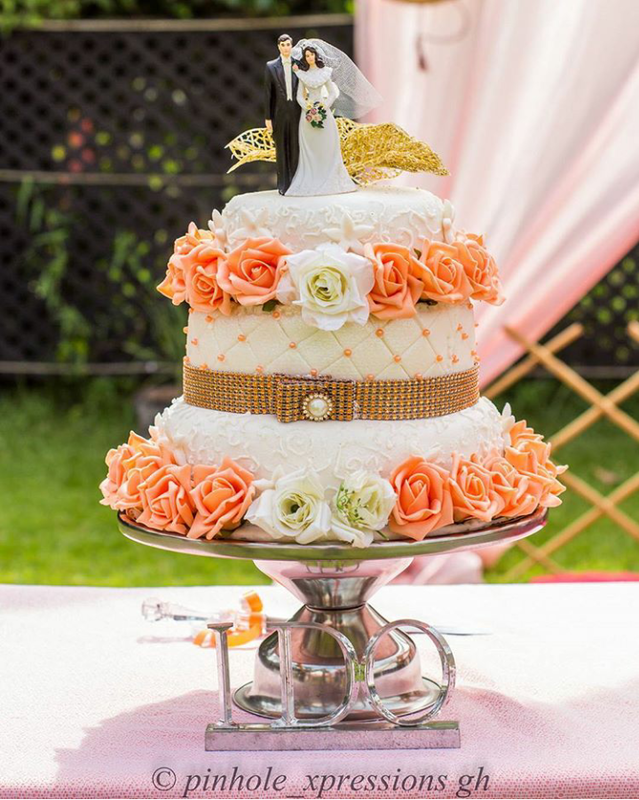 This entry was posted in Weddings and tagged Champagne weddingcake champaigne popping wedding toast groom bride wedding guests wedding blog, wedding, wedding fun, wedding reception, Weddings on June 30, 2017 by Awura Quansema. With my tagline #Theversatileemcee, I seek to explore more opportunities and embrace new challenges in events hosting, but little did I know that my versatility would soon be put to a test through an encounter with my latest couple, Sadiq and Najat. 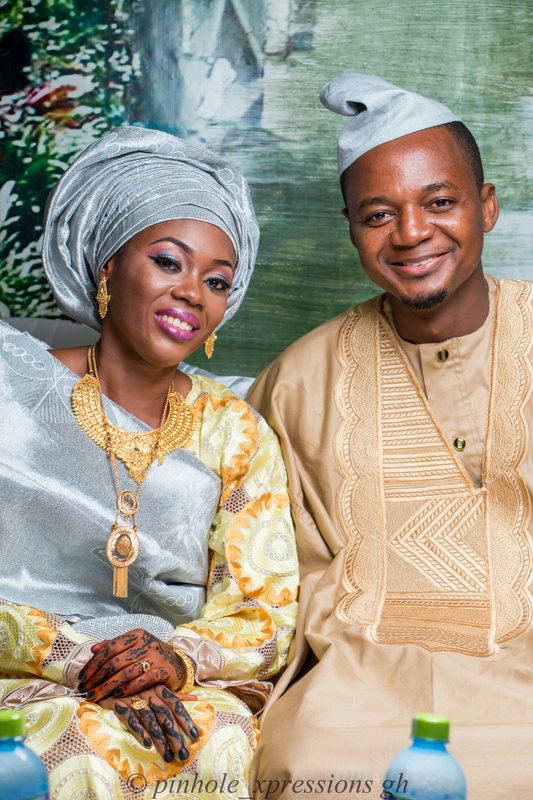 Their Love Story: In 2014, Sadiq Abubakar Seidu, a young professional and graduate of the University of Mines and Technology (UMaT), met his lovely bride, Najat Yusif, then a student of the University of Ghana through a mutual friend. That was the begining of a beautiful friendship which has resulted in marriage after 3 years. The Test: I had attended an Islamic marriage reception only once in 2013 and did not pay much attention to the proceedings. It was a mixed feeling- I was excited because I had another opportunity to serve and do what I’m passionate about but I also thought of it as a challenge, considering that I was going to address a different kind of audience, the majority whose language I could not speak nor understand. I also had less than 24hours to get myself ready. But I was not puturbed. I said to myself “this is a test of your versatility….. Mz Raj, be yourself and give it your best shot!” Besides, “The will of God will never lead you to where His Grace cannot keep you”. 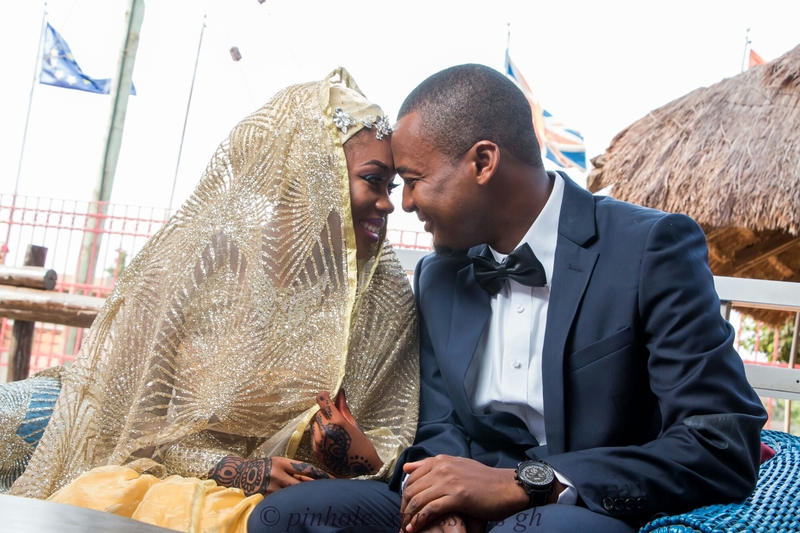 The beautiful thing about the reception was that, it had all the features of a standard wedding reception with a fusion of Islamic wedding traditions such as the frequent change of outfits accompanied by several dance moments by the couple. It was a learning experience for me; there was a lot of merrymaking and the sudden change in whether did not deter the couple, the guests and myself from turning up. At the end of the day, it was very clear that indeed I had been put to a test, but I passed and resolved that I have not met my greatest challenge yet. By Grace, I get better everyday! This entry was posted in Features and tagged Events hosting, Events MC, Photography, Show host, wedding, wedding reception, weddingmc, Weddings on January 24, 2017 by Awura Quansema. WEDDING RECEPTION GAMES- YAY OR NAY? People are divided on the issue of playing games at wedding receptions. 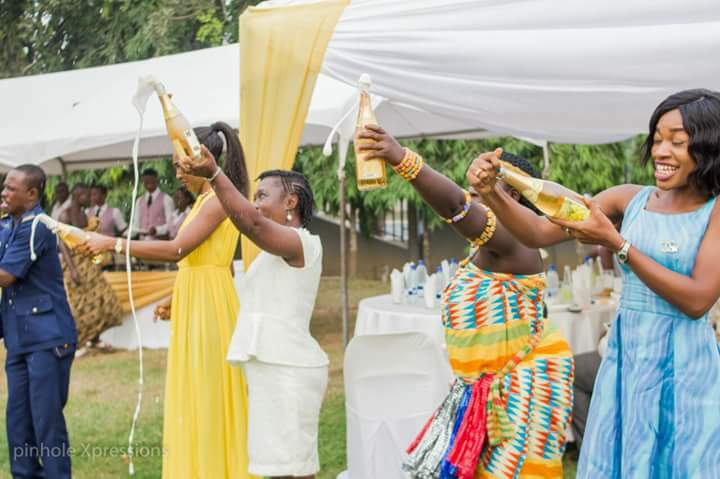 While some find wedding games entertaining, those on the other side of the divide feel weddings are enjoyable by themselves and so there’s no need adding on extra activities and games. Some even argue that such games could be embarrassing. Whichever side you are on, you may be right! I have hosted wedding receptions where the couple and I agreed to play some games and others where there were no games at all, but were still fun. Your wedding day is your special day, you are unique and your wedding should be customized to suit your taste and preferences. What matters is your happiness and that of your guests. Usually, the major form of entertainment at wedding receptions is music. Some folks may find such a reception very boring, especially if they don’t love to dance. In such a situation and if you belong to the second school of thought, you may not want to play games per se but inculcate other fun activities so not to make your reception mundane. 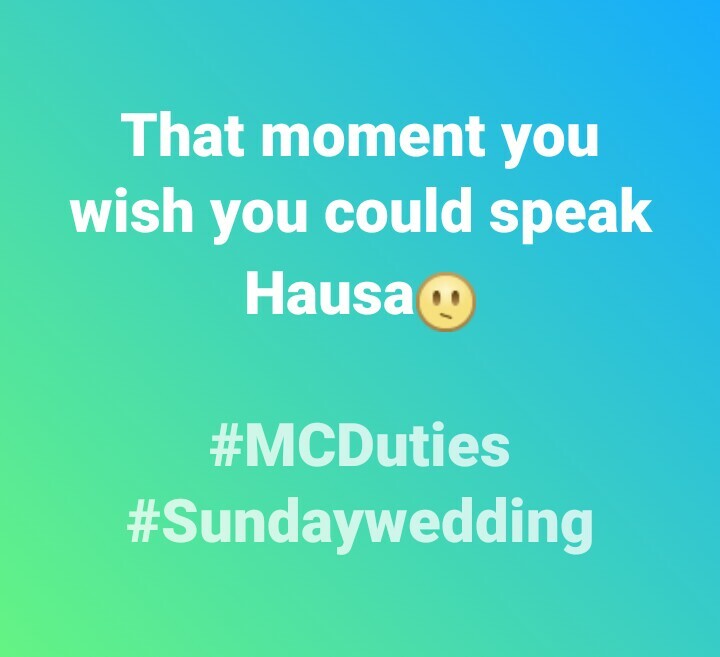 That is why it is important to hire a Professional MC, who will plan the reception with you, consider the calibre of guests that would be in attendance and suggest ideas that would make each guest feel special and involved. You could do more music and dance, some comedy or hilarious wedding-related pieces by the MC or a Professional comedian, Poet or Spoken Word Artist or even, surprise Artiste performances, choreography, among others. On the other hand, if you are a fan of wedding games, you and your MC can agree on a number of games to play at your wedding reception. Ones, which your guests will enjoy. Note however, that, too many games in just one event can drag it unnecessarily, especially if there already are a lot of items on the running order. For most receptions I have officiated, I have played not more than 2 games in one event. I believe just one or two interesting short games will do the magic! In playing wedding games, my focus as MC is usually to create a merry atmosphere and as much as possible, involve the hosts (couple), guests, bridal party, all functionaries and vendors present in the event, without losing focus of the most important activities of the day. Wedding games are icebreakers and also come in handy to shield any delays or unforeseen circumstances as they occur. If you enjoy wedding games and probably thinking of playing one at your wedding reception, below are a few you can choose from. The Shoe Game: This a very common wedding game, intended to find out how well the couple know each other. All that is needed for this game to be played is two chairs (positioned back to back) and your shoes. You take off your shoes and switch one with your partner, therefore; the groom holds one of his shoes and that of the bride and vice versa and you take your positions on the two chairs. The MC then asks a series of questions about the couple. For example, who is more romantic? When you’re asked a question, you raise your partner’s shoes if it best represents or describes them or your shoes if it best describes you. The interesting bit about this game is that, you can’t see your spouse and so you’ll have no idea if your answers are the same, although reactions from the guests can give a clue. Charades: This can be simply put in the Ghanaian context as “Pick and Act”. A single person would act out an idea, phrase or sentence (usually provided by the MC) while the other person or rest of the group will guess. The charade is done without speech, but gestures and sometimes, mimes. Many times, I have not engaged only the couple in this game; but also the bridal party, by pitching the groomsmen against the bridesmaids and sometimes, the guests. At the end of the day, the winning team is declared. Spot Your Wife: Some couples are not comfortable playing this game. The reason being, “what if I choose the wrong woman?” For the few who have dared to play, it is very interesting and the guests love it too. In this game, the groom is blind-folded and is tasked to identify his wife from a queue of ladies. Some grooms use clues as their wives perfume or cologne, rings, height or body shape and the wedding gown, which obviously feels very different from all dresses worn by the other ladies in queue. When he chooses right, the aftermath is up to the couple on what they decide to do or what the MC suggests they do- hug, kiss, dance – whatever excites them. And what if he makes the wrong pick? Well, that will be unfortunate but something fun can still be created out of the situation. However, it appears most men are very smart and two grooms I have so far worked with on this game both got it right. But, on a second thought, should it always be “spot your wife”? I guess not as the tables can be turned for the bride to spot her husband…. simply, the “spot your spouse” game. I can’t wait to have a brave bride who would want to try this game. Clinking of Glasses: I was introduced to this game by a Canadian-based Ghanaian couple, whose reception I hosted in September this year, Nana Offei and Ernestina. They said it was very popular in Canada and some other parts of the world. They could not tell me exactly what the game was called, but I got the concept. After our planning meeting, I decided to read about the game and discovered it’s termed “clinking of glasses”. 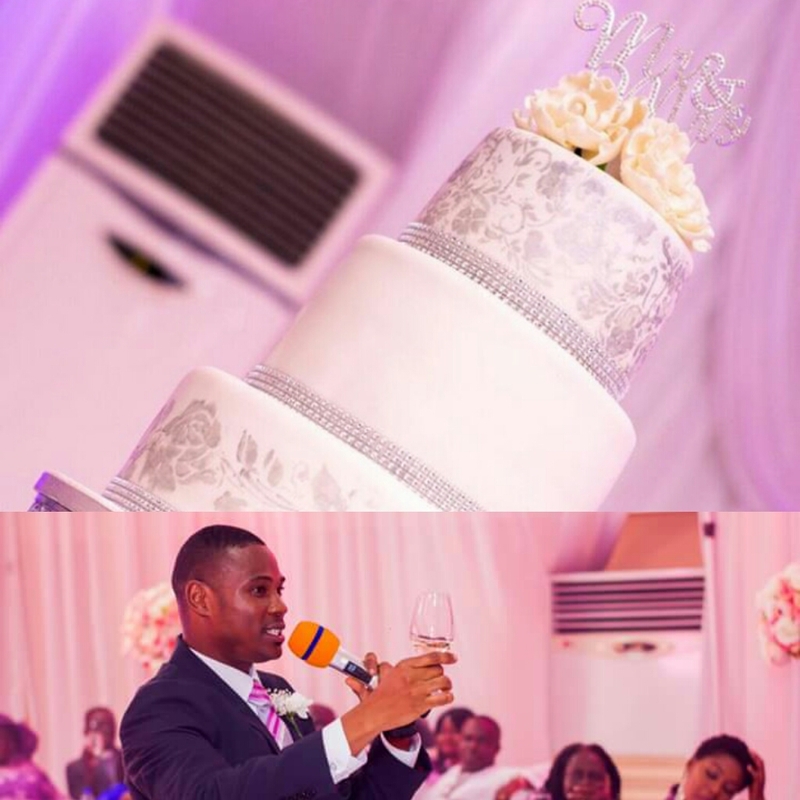 It’s simple, anytime during the reception, guests who would love to see the couple kiss would clink their drinking glasses with their cutlery and the MC, at his or her discretion, would heed to their calls and ask the couple to kiss, or sometimes, ignore. Trust me, it’s really fun and a sure way of getting your guests actively involved in the event. If you are not a shy couple, you might want to try this! Garter Removal and Toss: The garter is a piece of clothing which a bride wears underneath her gown, usually on her thigh. Historically, there are various beliefs surrounding the garter, including it being a symbol of the newlyweds consummating their marriage, as well as bringing good luck to any of the guests who is able to rip it off the bride. Today, the removal of the garter is the sole preserve of the groom. In the course of the reception, the groom dances toward the bride (who would then be seated), buries his head beneath her gown and removes the garter. After the bride tosses the bouquet to the single ladies present, the groom tosses the garter to the bachelors. The man who catches the garter would then place the garter on the woman who caught the bouquet, believed to be a sign of good luck and the next in line to get married. The list of wedding reception games is endless……… and you can also create one to spice up your big day if you are a lover of games but f you are not fond of wedding games, create your own kind of fun; weddings shouldn’t be boring. As an MC, I always say, your wedding is the biggest party you may ever have in your lifetime so it is important that you inject as much fun into it as possible –games or no games. This entry was posted in Weddings and tagged blog, corporate events, Events, Events hosting, Facebook, Instagram, ladymc, linkedin, Master of Ceremonies, MC, Photography, Professional MC, social, social events, Videography, website, wedding, wedding fun, wedding games, wedding reception, weddingmc, Weddings, wordpress on November 3, 2016 by Awura Quansema. We wake up to new and very inspiring trends in Events daily. Today, everyone wants to take their events (corporate or social) to a whole new level by renting budget-friendly but classy venues, breathtaking themes and décor, personalized stationery, professional ushering and waiting services, as well as Events Planners, who take the stress off individuals and institutions who seek to organize events by planning, executing and coordinating on their behalf. Additionally, we love to capture and preserve the memories of our special events for a life time; hence, hiring Professional Photographers. Photography, like Events Planning, is one profession which has, within a short time, gained so much grounds in Ghana with many professionals out there providing captivating still and motion picture photography….like my very own Pinhole Xpressions and the other known and highly professional photography Teams. 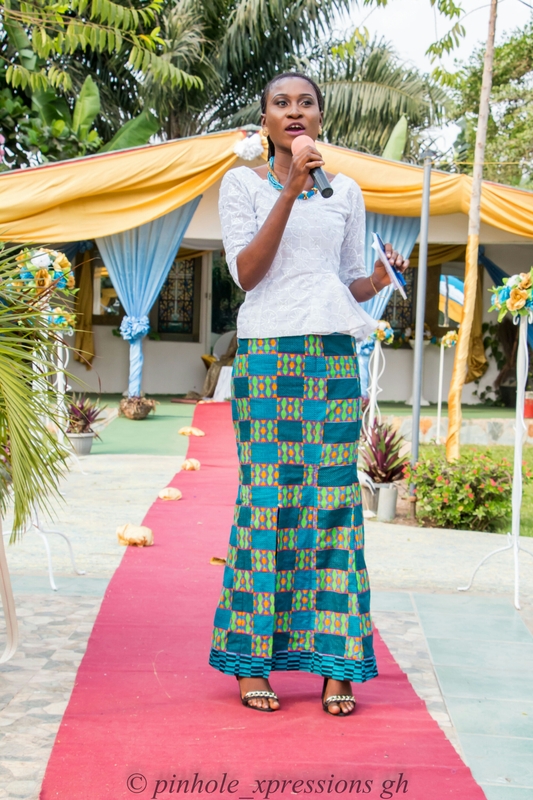 In recent times, there has been a proliferation of Professional MCs in Ghana; some being Wedding MCs, others Corporate MCs and a lot more, all-rounded. In my very short time of operation as a Professional MC, I have observed a greater number of male MCs, which makes the profession appear male-dominated. Very few Professional female MCs like me exist, but both genders are doing great on the mic. Most of these Ghanaian Professional MCs have adopted brand slogans such as The MC.Extraordinaire, The Emcee of Our Time, Your Official MC, The Man on the Mic and my humble self: The Versatile Emcee. Shout out to The MC Academy and all the wonderful people out there rocking the mic! “Why should I pay someone just to talk?” As a Professional MC, this and many more are some questions I am confronted with, as some people are of the view that MCing is just about “talking” and sometimes, being comical. They would rather rely on a garrulous and funny relative or friend to officiate their event, especially, weddings. MCing, contrary to some notions, is a very tough and challenging job and arguably, the most powerful position in any event. Apart from Talent (which is from above), one must exude a lot of confidence to be able to speak for hours in public, control an event and ensure the satisfaction of all guests and audience. Professional MCs are not just talkers and the art of MCing is a skill which must be nurtured. From my experience as a Professional MC, the role of MCs sometimes extend beyond on-the-day officiating to planning; especially in cases where Event Planners are not hired. A good MC makes a Great event, and as such we view and treat every event as our own and assist with or recommend vendors, the development of running order and even, the type of songs to be played by the DJ, all with the aim of ensuring a successful and memorable event. It is gratifying however, to note that many Ghanaians are gradually beginning to appreciate the significance of Professional MCs to their events, and do not take chances by entrusting the officiating of their events to just anyone. 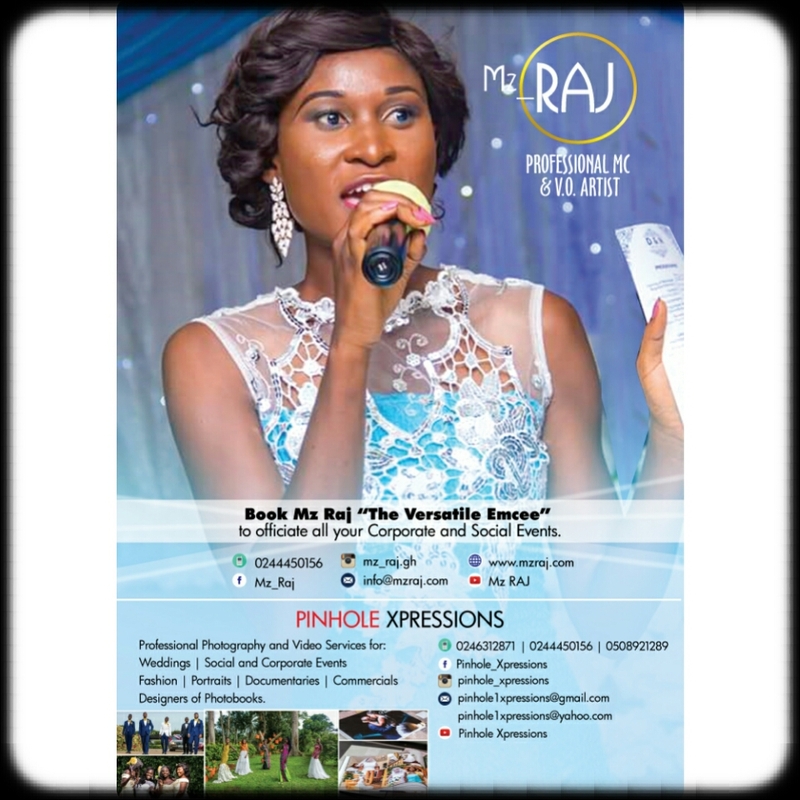 To the many others who are contemplating hiring me, Mz Raj or any Professional MC and just telling a friend to handle it; simply remember that you need a Professional MC as much as you need delicious food from a good caterer, beautiful decor from a professional stylist, flawless make-up from a Beauty Therapist and dazzling pictures from a Professional photographer. Planning your next event? Hire a Professional MC! 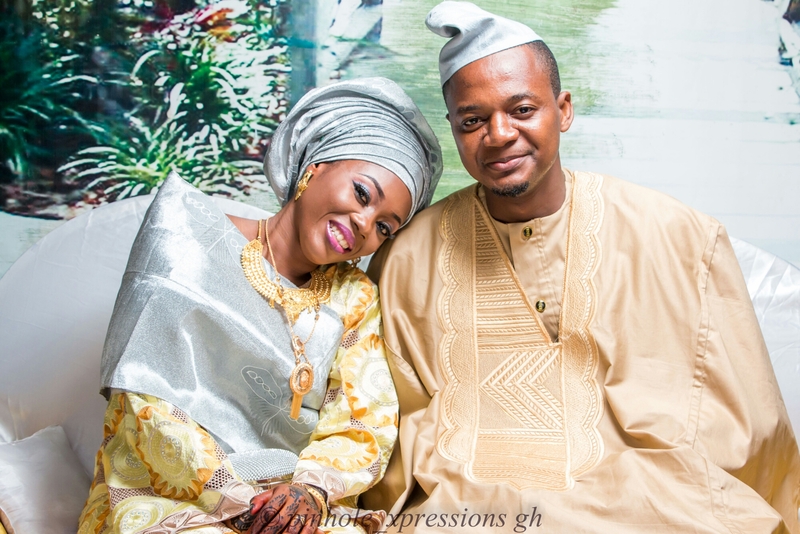 This entry was posted in Uncategorized and tagged Events, Events hosting, Events Planning, Ghana, MC, Photography, Professional MC, Weddings on September 8, 2016 by Awura Quansema.